14 short melancholy tape-loops from the early eighties. Remastered and now available on conventional pressed CD in Trim-Pak (previously available as a very limited CDR). 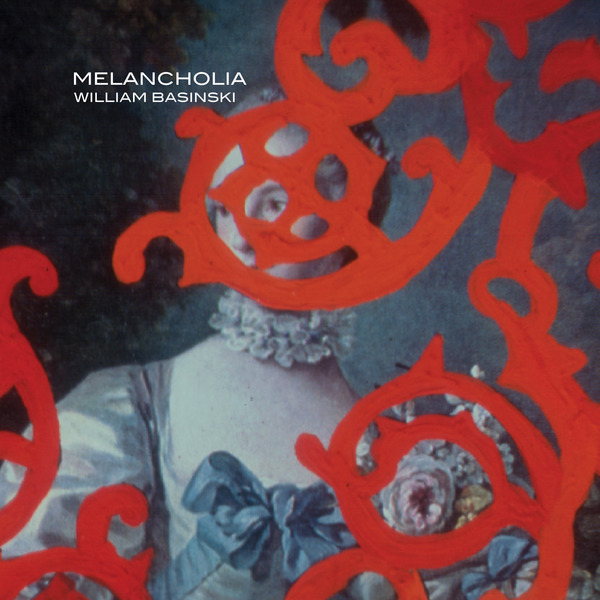 "Melancholia is probably the best Basinski's record until now, even if this is hard for me to say given my love for each one of his releases. Contrarily to his 'continuing' projects such as Disintegration Loops and Water Music, this is a sort of a sketch album, made of short pieces all created with tape loops and some synthetic wave here and there. This music is so beautifully delicate and sad in its auto-reflective moods, it stands right there with everything ranging from the usual suspects in the 'ambient' field, to a distorted damp ghost of Claude Debussy or Maurice Ravel put into a time machine. Just ravishing as you can imagine, William's almost suffocated loops celebrate the burial of any enthusiastic thought, to make room to the most difficult introspection -- the one growing you in a hurry and leaving you alone, observing from a safe distance. This beauty is for any human being who's not afraid to understand life's happenings -- maybe the hard way, but who cares?" --Massimo Ricci, touchingextremes.org.